What is the animal at the top? What kink of monkey is that? The animals on the top are southern Coatis. 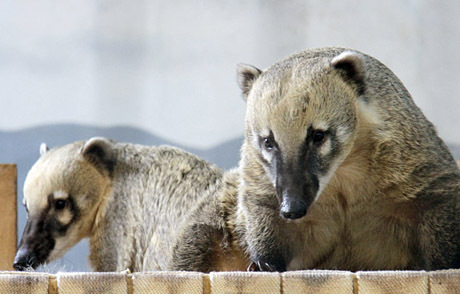 The Central Park Zoo now has Mountain coatis. The monkey is a spider monkey.